We all know the classic Nintendo antagonists – Bowser for Mario, Ganon for Link, and capitalism for any Animal Crossing villager. 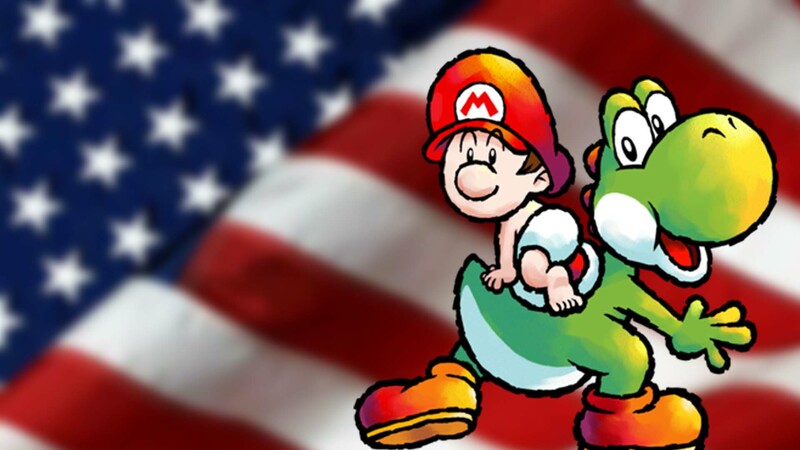 But it is clear that for a green dino, his biggest enemy is not Bowser Jr. or any of his cronies – that's the US government. Previously, we believed that the prehistoric nests were the villain committing tax fraud as an open (and now verifiable) secret. But now black and white turn gray as new shocking evidence has come that may imply stars and stripes like the one who threw the first stone. It goes like this: The Danish Environmental Protection Agency has a flash game on their website called Recycle City Challenge . Discounting … obsolete aesthetics (I'm 99% sure the game is from 1999, but there is no way it was made before the mid-2000s), the game was too short time ago a music track that accompanied it … torn straight from Yoshi's Island DS. The meaning of the EPA used Nintendo's music without permission. But who was the instigation? Was the music break retaliation for the evil Velociraptor's illegal tax forms? Or was Yoshi framed to cover bureaucratic incompetence and direct theft? Who tells the truth and who is lying? Only time – and truth – will tell who is right and who is wrong and who justice should be served to. Thanks to @forestillusion for info. History via Game Informer. Gamer, author and devourer of pasta. When he doesn't make his daydreams out of control, he can be found writing for Nintendo Wire, playing old JRPGs or reading sci-fi and fantasy novels and comics.